Pekin, IL – Timbercreek Rehab and Health Care in Pekin, IL recently achieved a deficiency free Annual Survey. On Monday, November 6 through Wednesday, November 9, 2017 the Illinois Department of Public Health conducted an Annual Survey at the Pekin Facility and determined, upon exit, reported that they had no concerns during their visit and would recommend that the facility maintain their existing compliance with CMS (The Department of Health and Human Services Centers for Medicare and Medicaid Services.) An official notification was received at the facility November, 13, 2017. This is the first deficiency free Annual Survey that the facility has attained. 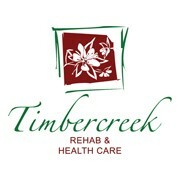 Timbercreek Rehab and Health Care is owned by The Petersen Health Care Companies based out of Peoria, IL. The facility has a capacity of over 150 and is certified to accept both Medicare and Medicaid residents. For additional questions, please call the facility at 309.347.1110.